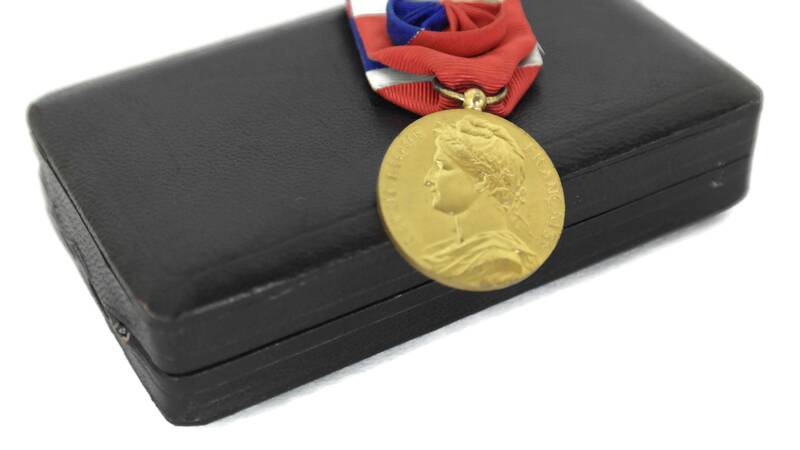 A vintage French gold plated medal award from the 1950s. 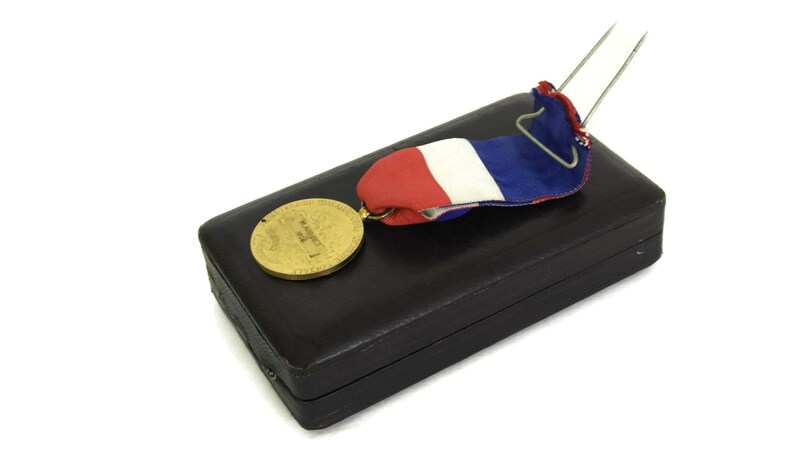 It is attached to a classic blue, white and red ribbon with rosette and comes in its original presentation box. 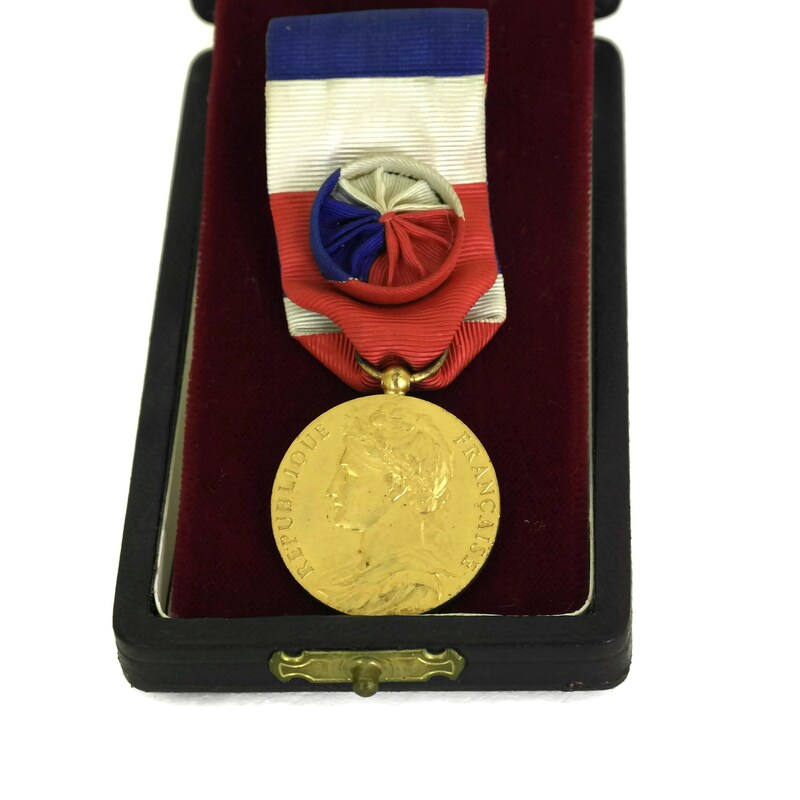 This ornate medal is awarded by the French Ministry of labor and Social Security for long service and seniority of an employee. 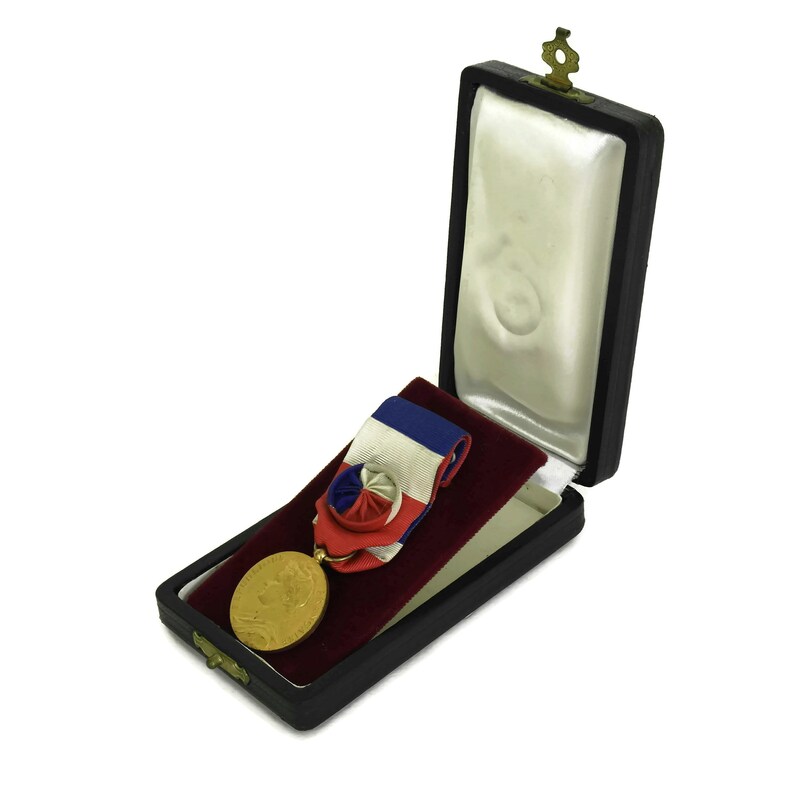 This distinction is awarded twice a year on the occasion of January 1st and July 14th. 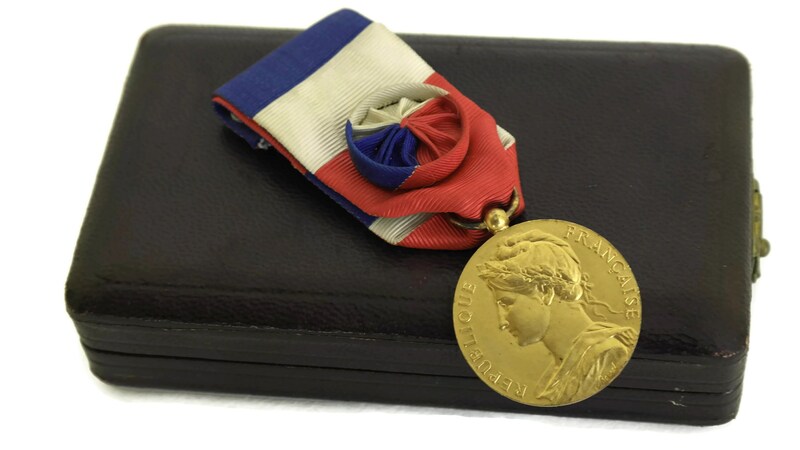 The front of the medal is decorated with the profile of Marianne, the symbol of the French Republic. 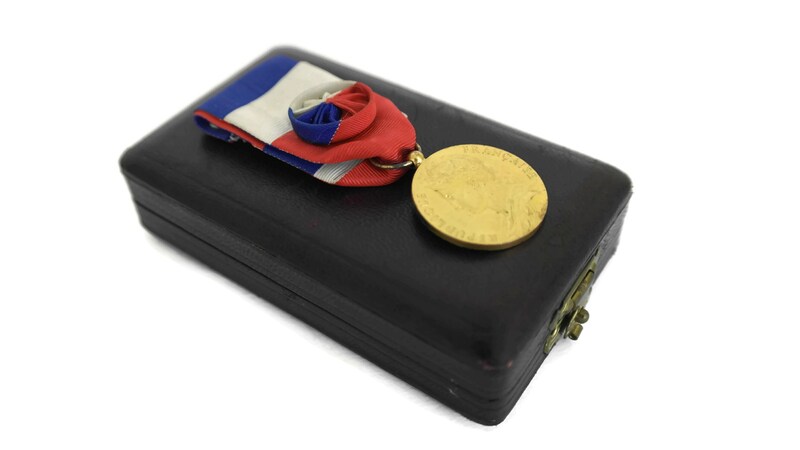 The reverse side has been engraved with the name of the recipient, M. Audigier, and the date 1956. 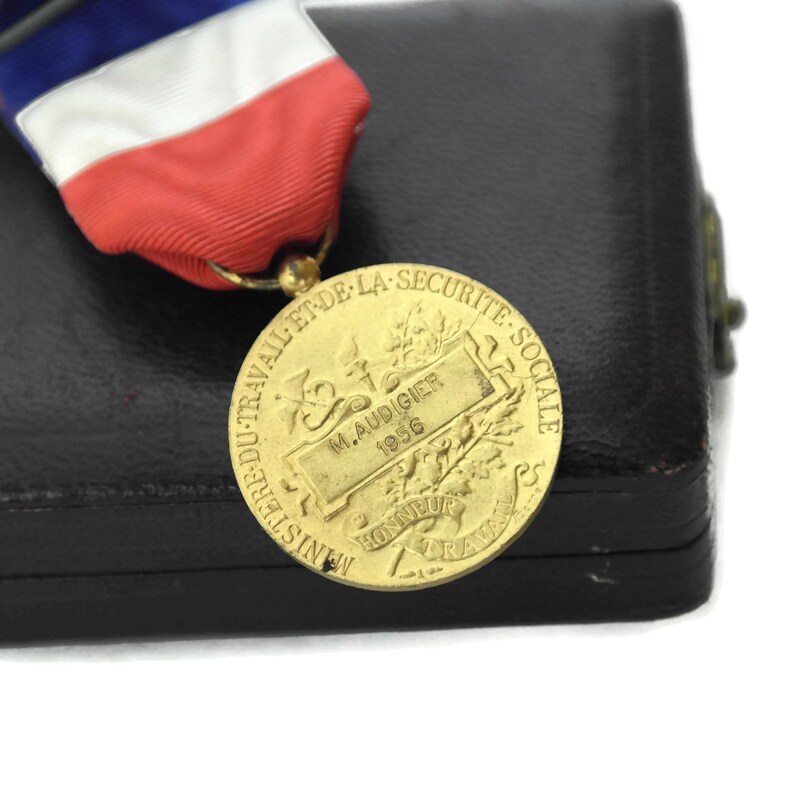 The gold plated metal medal features on both sides the signature of the engraver A. Borrel. 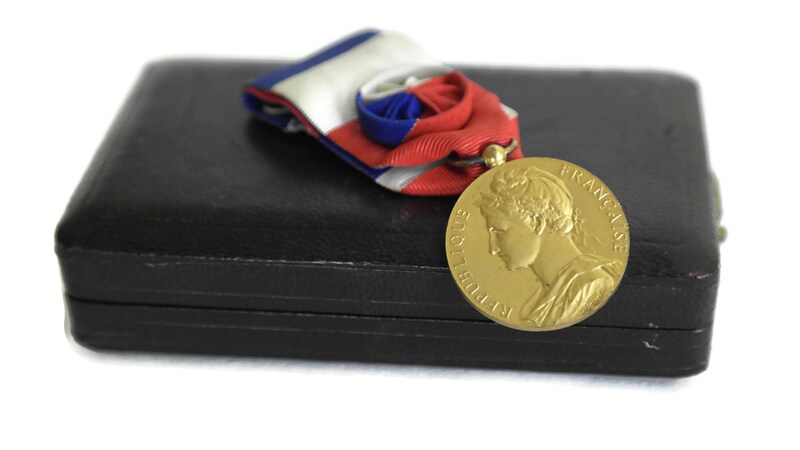 Medal: 26 mm in diameter x 2 mm thick. 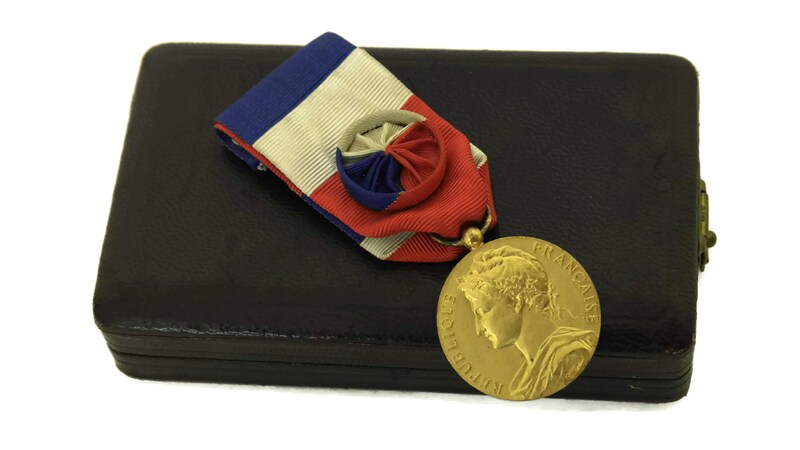 Ribbon: 2" Long (5 cm). 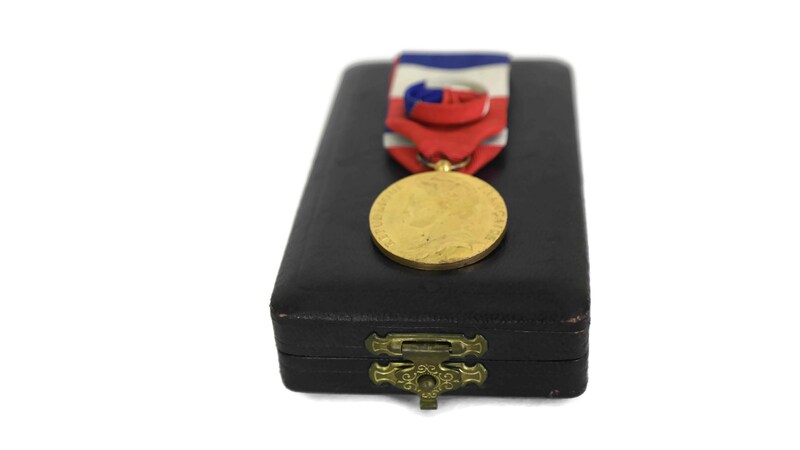 The medal, its original ribbon and the presentation box are in very good vintage condition with light surface marks and wear.